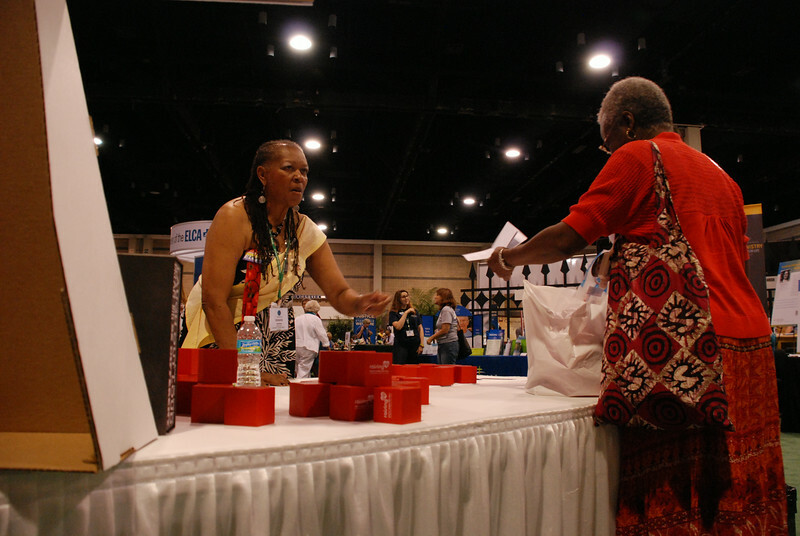 Victoria Jackson, a pastor at St. John’s Lutheran, Jacksonville, Fla. (left), talks with participants about the Women of the ELCA's “Raising Up Healthy Women and Girls” initiative. Emblazoned with the name of the initiative, the red "stress balls" are actually square. EH.